Much like Cherry Red Records, Bendi Records are a label who pretend that the last two decades of music never happened. Their roster encompasses the kind of unfashionable artists that known record companies wouldn’t touch with a barge pole. Yet, as is often the case, the music produced can often be delightful. 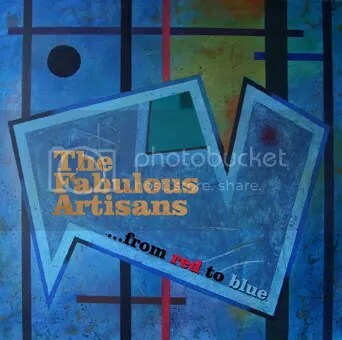 True to form, The Fabulous Artisans make passionate, 80s-styled pop led by a big-voiced singer and kitchen-sink arrangements which belie this small label’s cult concerns. The romantic title track is certainly a brilliant way to start. Neil Crossan’s rich Scott Walker-meets-Edwyn Collins croon is perfectly matched to Jeremy Thoms’ beautiful arrangements; it sounds like a lost Associates song. Similarly, the slower, reflective likes of ‘Wintertime’ and ‘Queen’s Park’ are rich in both vocals and songwriting prowess. Meanwhile, doleful melodies such as ‘Say Hello To The Summer’ and ‘Self Proclaimed Genius’ certainly wouldn’t seem out of place on one of Collins’ solo records. Yet other influences are stranger. The busy ‘Like A Saviour’ recalls The Style Council, there’s even a bit of fuzzed-up Bowie for ‘Return (Lord I Can’t)’ whilst the harpischord and “sha la la” backing vocals employed on ‘Sycamore Square’ can only be put down to the duo’s own delightful quirkiness. Crossan and Thoms may be relative veterans on the indie music scene but their talents for perfect pop is of the finest vintage. Discovering ‘From Red To Blue’ may feel like digging up a long lost treasure from a quarter of a century ago but (much like Thoms’ other project, Skyline) it’s a superbly executed exercise in classic, soulful British pop.